We all use business systems, these are the software items we employ, like payroll software, accounting software, and industry specific applications that make sure we run our businesses within a framework rules. One such software is Office 365 for business through which you can protect your sensitive data to the cloud. Office 365 offers a huge range of functionality to import data, convert or transfer data, and export data. But, additional to this an O365 collection can also be configured as a full workflow system, triggering tasks for individual operatives or groups, notifying that data is available for analysis and tracking the action taken in a task list for supervisor oversight or later audit. The office allows you to pay for the services you use, and nothing more. Microsoft offers a monthly subscription plan for their cloud-based productivity tools offering-office 365. If you are also interested in using office 365, but before of this you have to know about Exchange online, it is hosted network. It provides organizations with the access to the full-featured version of exchange server, including access to email, calendars, contacts and other documents for any endpoint device. There are plenty of benefits associated with Microsoft Office 365, one of the major benefits is that you can access your corporate emails, documents, spreadsheets, contacts, calendar and much more and is accessible on your mobile device. Office 365 for business enhances sharing and collaboration within your organization through the use of SharePoint Online. There is another efficient service that can improve your collaboration and communication within your organization or even with your clientele i.e. Skype for business. Whether you want to conduct a business meeting or want to discuss something with your customer, you can do with Skype with the least expense. If you are tired of paying outrageous fees to manage your business' communications, you should certainly look into what this affordable communications network can do for you. Another benefit of Office 365 service is that it is specially designed to meet enterprise security requirements, offering robust security features that put customers in control. It also offers robust password policies such as complexity and length combined with account lockout. 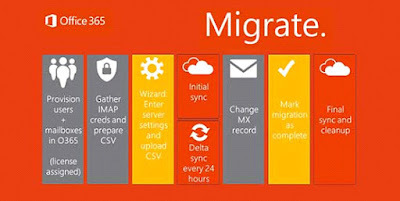 Microsoft office is not only eradicating the burden of software and hardware management of IT resources, which can be utilized on the several parts of business, but it is also compatible with almost all prior generations of Microsoft operating systems.